Feedmix strives to always lead the way towards innovative product lines. The company values its experience and technological expertise to its global network of nutritionists and feed specialists, its products present the industry the very best feeds available for animal grow out. Feedmix has its mission for product excellence, far beyond tradition. We have services at every step from feeds manufacturing, hatcheries management, farm management training, to food processing—all in a vertical supply chain free of unapproved chemicals and antibiotics. At each level of production, there is strict adherence to international certification standards and biosecurity protocols, providing both transparency and the assurance of food safety to our customers. This also allows us to provide services at every level across multiple species. Integrating production systems allows for economies of scale, enabling lower production costs while maintaining high quality standards. Our grow-out ponds have harvest schedules that provide a continuous supply of fresh seafood to our processing plants. Once harvested, they are chilled and delivered immediately to our on-site processing facilities, resulting in the freshest product possible. 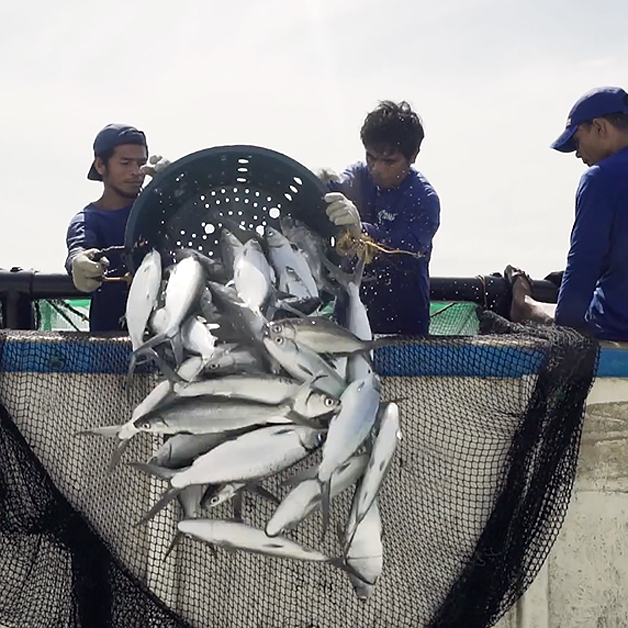 We have the largest extrusion plant in Asia, with the capability to produce a variety of aquaculture feeds. It has a rated production capacity of 15,000 MT per month and is complemented by six high capacity extruders, all linked through dedicated specialized computers. We were the first to introduce High Heat Treatment, extrusion technology, and floating feeds to the Philippines. Our feeds are cooked through High Heat Treatment, giving them a high level of digestibility without loss of nutrients and essential amino acids. Extrusion technology creates a more even and dense feed output, and allows the addition of essential vitamins, fats, and oils after the feed cooking process. All of our feeds are also available as floating feeds, which minimize waste as they require no binders and don’t easily disintegrate in the water. 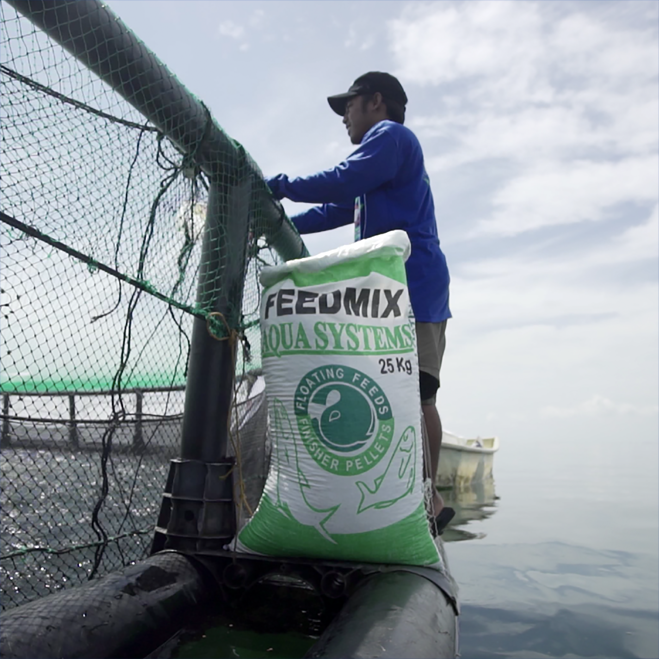 Even now, Feedmix keeps abreast of global trends in aquaculture, constantly improving its production facilities to bring the best technology to the country.